I enjoy seeing trees with people to share the pleasure of appreciating the beauty of nature. This tree is somewhat exceptional. 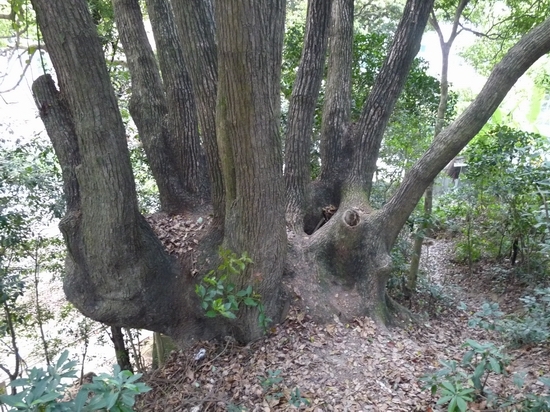 It is a Camphor tree, well know as “Hundred-son-thousand-grandson” tree at Tai Shui Hang. 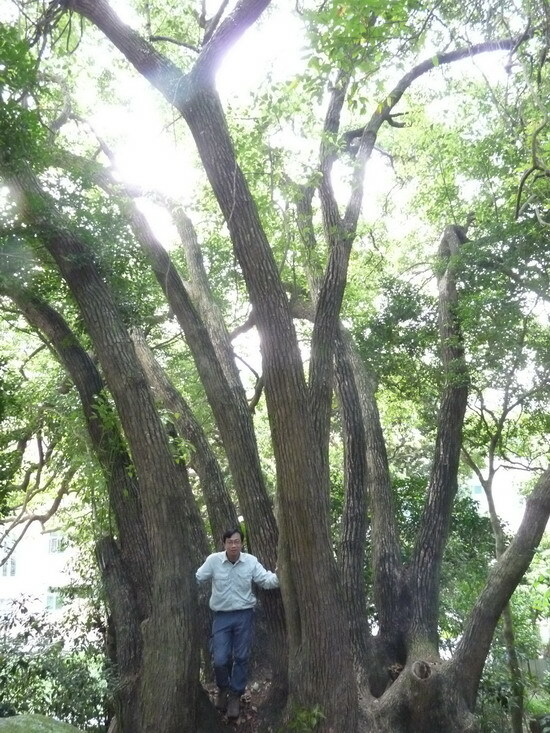 In the book “Register of Old and Valuable Trees”, it is rated as 200 years old. It is standing in “Gu Tsuen” (literally means old village, but now is a new building) nearby Tai Shui Hang Village. More precisely, it is adjacent to the open space behind the bus terminus. When you see the “village deity”, then look to a hillock. There it is a huge tree with many up- growing branches. Its roots sprawl in all directions on the hillock. 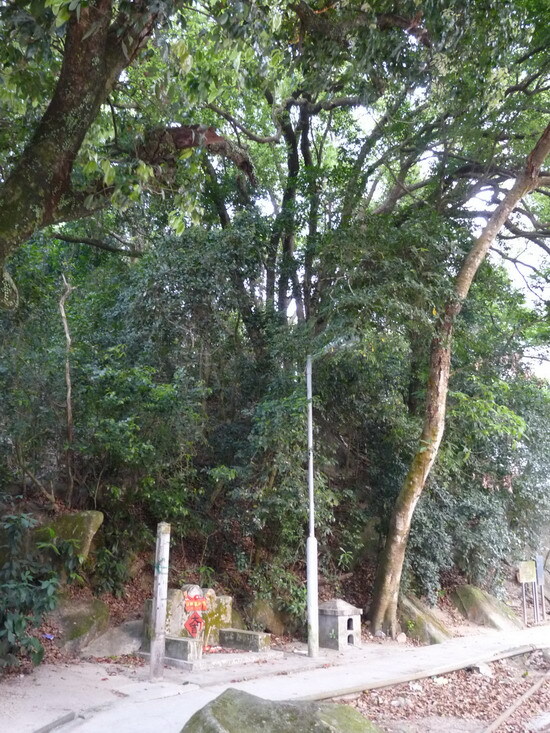 It serves very well the purpose of transmitting the prays to the “village deity”. 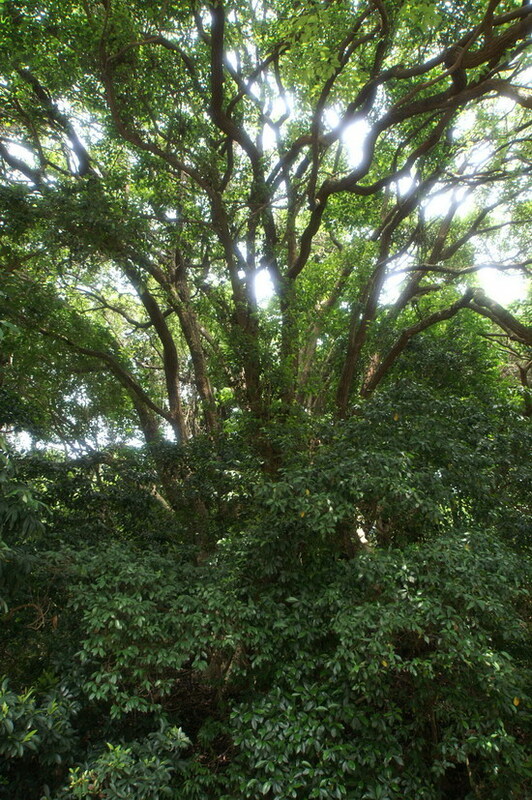 It is a classic “granduncle” tree. Low in the tree, it is divided into multiple trunks (now 13) growing upwards, similar to the profile of narcissus. By the look of its growth, the tree had to be wrecked long time ago and water sprouts grew from the wounds. The structure was actually very poor. Fortunately, its domineering vitality allowed all the water sprouts to grow healthily. After more than a century, the entire canopy has propped up well. It is extraordinary that a tree has more than 13 trunks. It is quite one of a kind amongst all trees. However, maybe because it is inherently “low-key”, it is not known in any of the tree campaigns in Hong Kong. When I saw the tree back in 2008, trash and cleaning agent packages were everywhere. In March 2010, I visited again and found that it’s well taken care of. It looks like our government do have a closer look at these old and valuable trees and have improved in their conservation. I planned to organize tours to look at this tree, eventually I gave up the idea. Its charisma should be sufficient to attract people to visit it in whatever ways it takes. If you are not moved by it, maybe that means you are destined not to meet it yet. Then, why shall I bother?